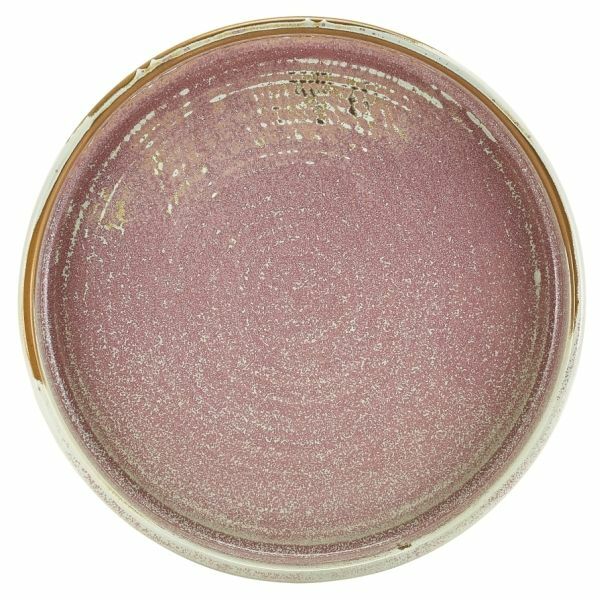 Unique glaze means no two pieces of look-alike in colour or intensity. Guaranteed uniqueness creates a truly distinctive look and feel. Rolled edge for added chip resistance. Microwave, dishwasher, oven and freezer safe. Conforms to BS4034 quality standards. 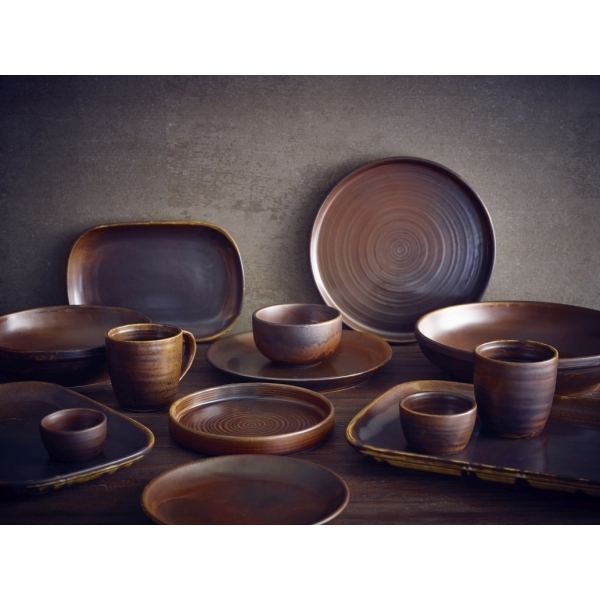 Genware Terra Porcelain crockery is a high quality fully vitrified porcelain crockery collection that is crafted through natural effects and the spontaneous colouring reactions which occur in the kiln. This makes Genware Terra Porcelain ideal for restaurants whom want their crockery to have a truly distinctive look. The unique glaze formula and high temperature firing results in no two pieces of Genware Terra porcelain crockery looking exactly alike in colour or intensity, providing a wide variation in colour and finish from piece to piece and creating a truly distinctive look. If you are unsure about the suitability of Terra Porcelain to your restaurants requirements, speak to our expert product consultants whom can arrange samples. The Genware Terra Porcelain crockery collection has been designed to allow restauranteurs and caterers to express their creativity and individuality. Alongside the unique colouring of every piece, the collection features 5 different colour categories, each with 18 different pieces of fully vitrified porcelain. Ideal for mixing and matching to suit your menu, you can choose from an extensive selection of coupe plates, presentation plates, bowls, ramekins and mugs to create unique table settings that leave a lasting impression on your customers. Sorry no leasing can be calculated for this product. Leasing is currently only available on orders over £750. 98% of all orders received before 2PM reach the customer the following working day. Orders below £50 are subject to an additional delivery charge. An additional geographic surcharge may also be applied if delivered to an additional charge zone, even on orders over £50.00. Is there some more information you would like to know? Contact us and we will endeavor to acquire any additional information you require. Genware Professional is one of the UK's most recognized brands for light catering equipment, tableware and glassware, with a wide range of products available to cover all the essential requirements of a professional caterer or the commercial kitchen. All Genware products are crafted and sourced with the customer in mind, making sure that every piece is long-lasting, durable and cost effective. This piece of mind allows you to put trust in Genware products and focus on your hospitality or catering business.